Reptile keepers for over 50 Years! Here at Coast to Coast Exotics we live and breathe exotic animals. We are enthusiasts with a broad spectrum of interests and all our staff keep a wide range of species at home. Here at Coast to Coast Exotics, experience and staff welfare is paramount, that’s why all our team have remained with the company for many years. At the heart of Coast to Coast is the founder, Kevin Stevens. Kevin is well known in the hobby not only for Coast to Coast Exotics but also for his committee work with the various well known Societies and Federations within the UK, including the IHS which he first joined in 1980. By the early 1990’s, Kevin was one of the largest snake breeders in the UK, specialising in Colubrids and small Boid species. He opened Coast to Coast Exotics in 1993, the longest established exotic animal specialist in the North East and one of a handful in the UK that have traded for such a long time. He regularly contributes to magazines, journals, TV and Radio programmes – and even movies. Kevin holds a City and Guilds in Herpetology. He has a keen interest in photography and general natural history. Stuart Dodsworth is the Coast to Coast Exotics Shop manager and sees to the daily upkeep of the store. He is also a well known herpetologist with a very broad spectrum knowledge of not only reptiles and amphibians, but also arachnids and other invertebrates. 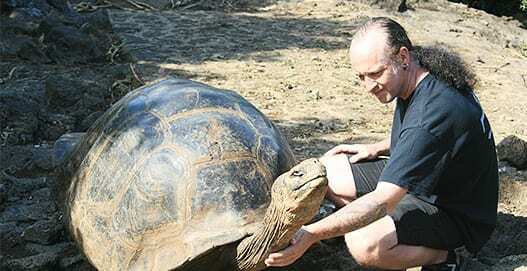 He first started keeping exotics in the mid-90’s and in 1997 gained has National Diploma in Animal Care. He has gained a reputation for his experience in Terrapins, Iguanids, Tegus and Monitors, larger Boids, Water snake species and in the last few years his interests have spread to entomology. He has been involved in various radio and TV programmes, spoke at various events and helped with several media writings. We have two further staff members; Tracey and Melissa. Tracey has been with us for about ten years and Melissa first worked in the store in the early noughties. Both have a varied interest in exotic animals keeping a selection of species at home. Tracey gained a National Diploma in Animal Care in 2006.